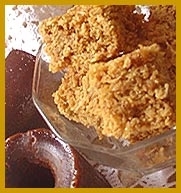 This is a great Puerto Rican candy recipe that is usually made during the holidays. Combine coconut and water in heavy saucepan. Heat on high temperature until it boils. Cook on low heat until sugar melts and texture is thick and very sticky. Drop by tablespoons on a greased cookie sheet or on cookie sheet covered with waxed paper.